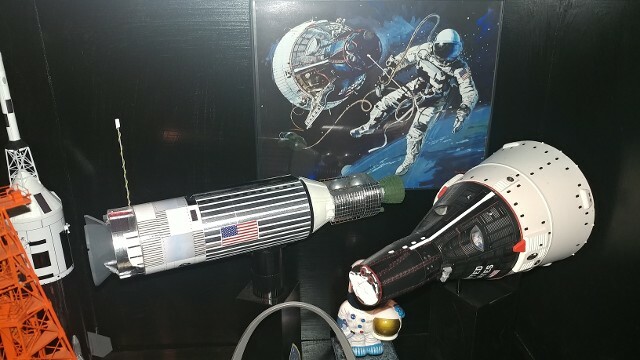 This model was originally built in the 1980s from the second re-release of the Revell "History Makers" series of American Spacecraft models. In 2010, I decided to re-visit the model and improve the detail using Space Modeling Systems 1/24 Gemini Super-Detail decal set, as well as the Real Space Models 1/24 scale Gemini Detail Set, which includes the nose radar detail, revised OMS & RCS packs and the vacuum-formed plastic "Gold Foil Shroud" which covers the equipment in the Adapter Module. The results were incredible! 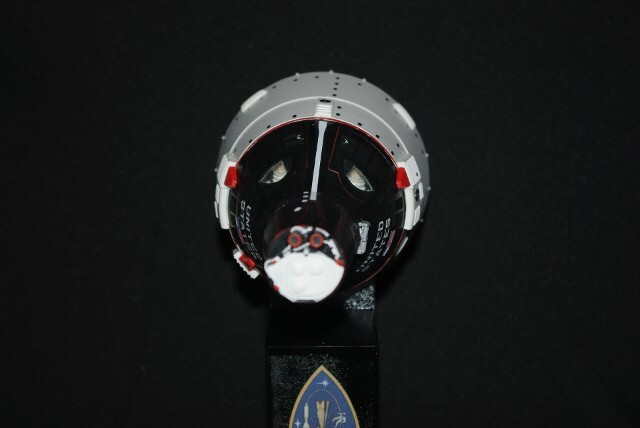 I also created a new display stand for the model, which includes the mission patch of Gemini XI, flown by Pete Conrad (CDR) and Richard Gordon (PLT). 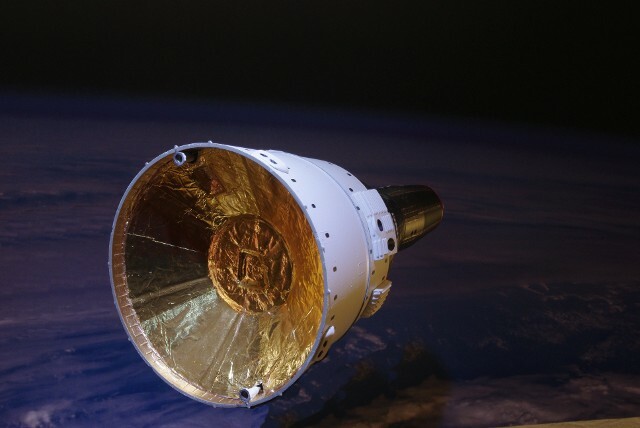 The combination of the improved decal detail and the correctly scaled thruster packages completely changed the look of the model. 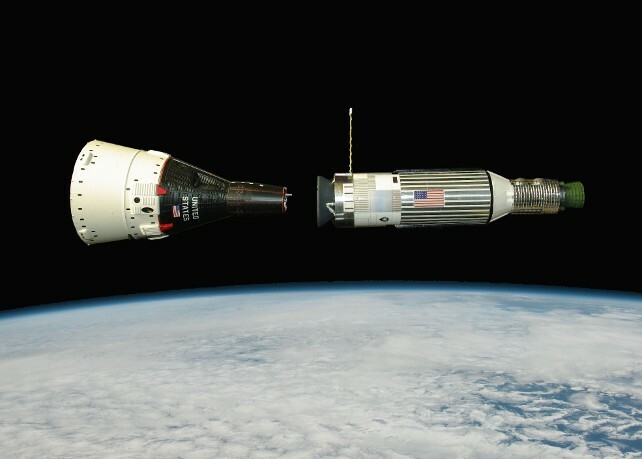 A "head-on" view, showing the nose detail, as well as the crew inside. 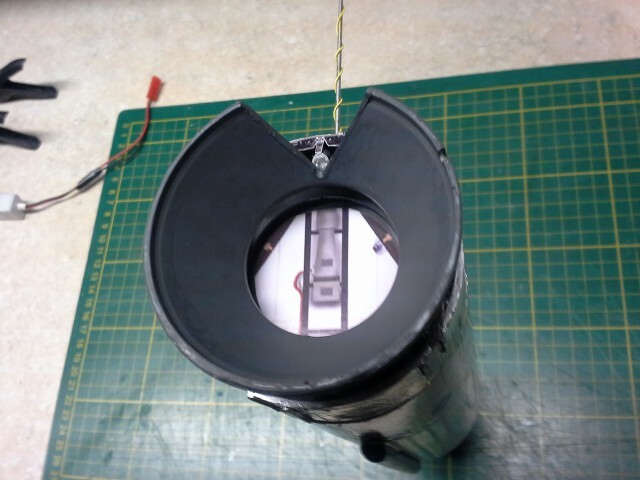 An aft view showing the foil shroud insert. 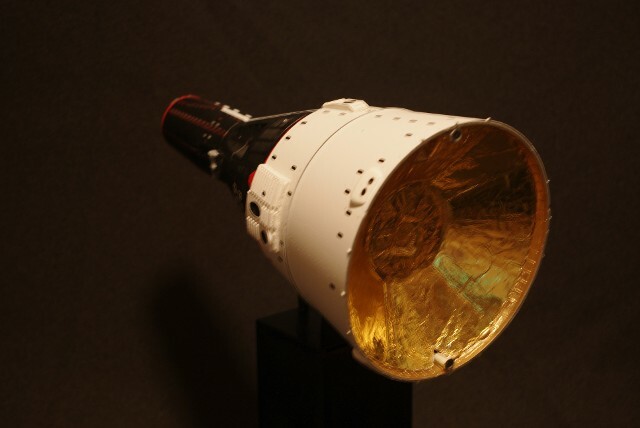 The vacuum-formed plastic was covered withe gold foil to create the proper look. 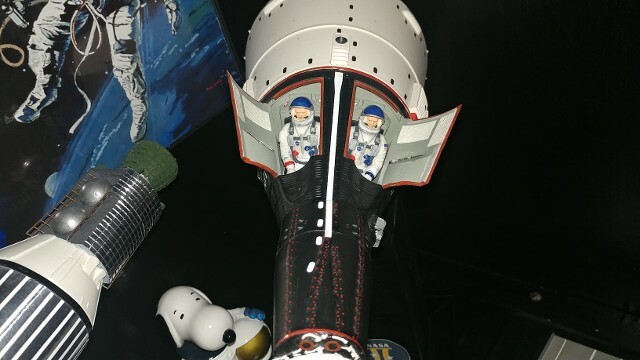 We recently decided to add an Agena Target Vehicle to the Gemini Spacecraft display in our Apollo Room. 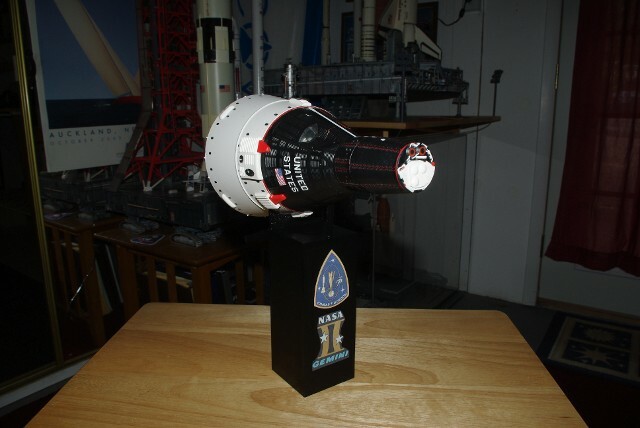 We acquired a 1/24 scale Agena from Real Space Models and began to build. 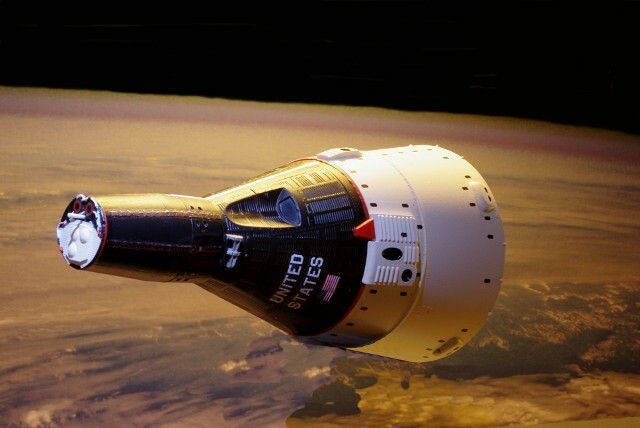 The body of the Agena was clad in aluminum film tape, in order to obtain a realistic metallic surface. 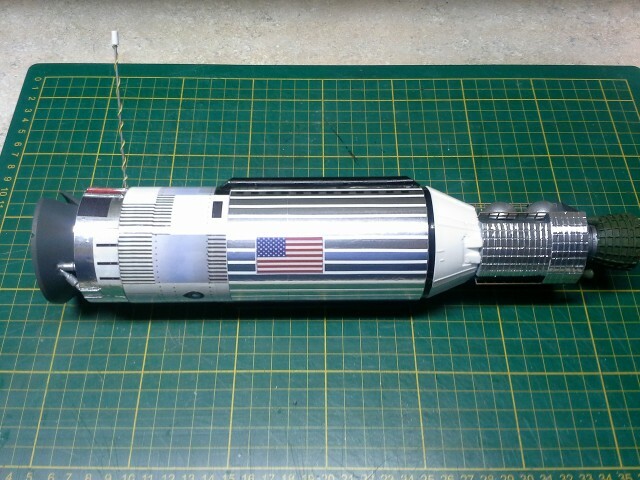 The Real Space model is a "resin" kit, with the propulsion and docking sections molded in resin, so assembly went fast. 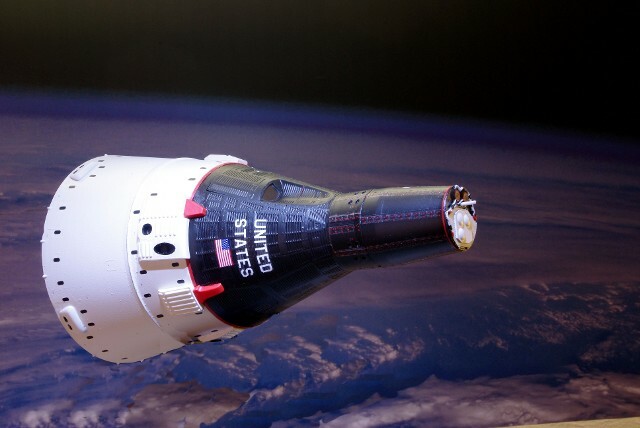 Detail work, including the creation of the forward "marking" decals and the use of thin white stripping tape, took longer. 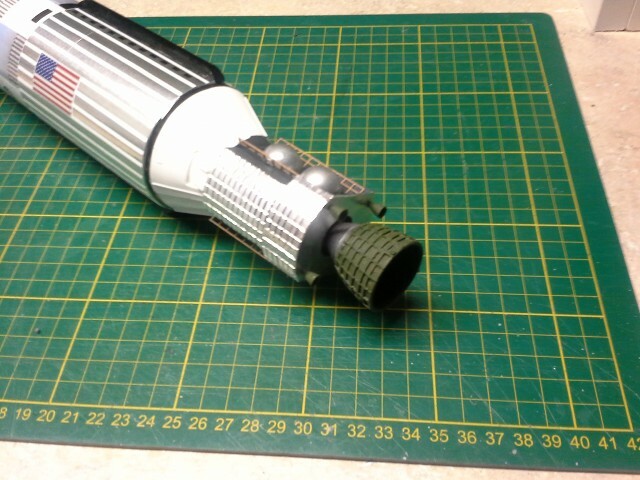 Aluminum tape was also applied to the SPS radiator panels on each side. The tape was scored to match the tile-shaped sectioning of the panels. 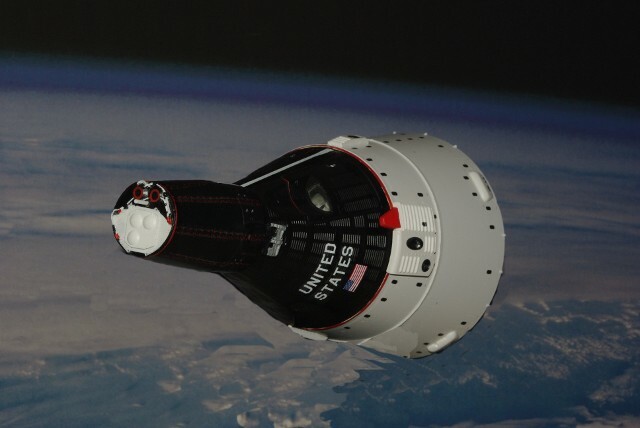 The colors scheme reported by Real Space was compared to NASA photos of actual Agenas in flight. 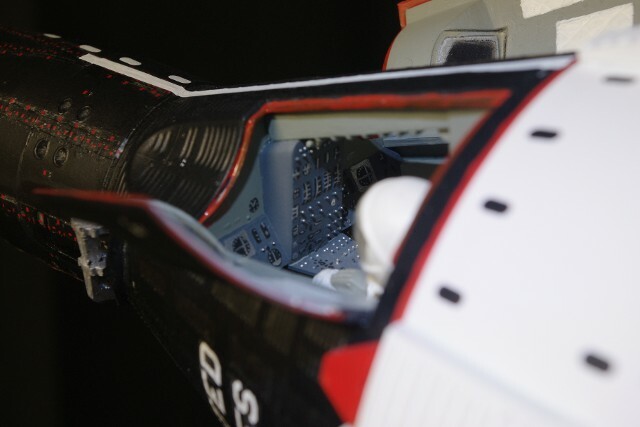 Additional details were added, using parts from the Delta 7 Studio's paper model of the Agena, purchased via the Web, and printed out to be added to the Real Space model to add additional elements, as seen here. 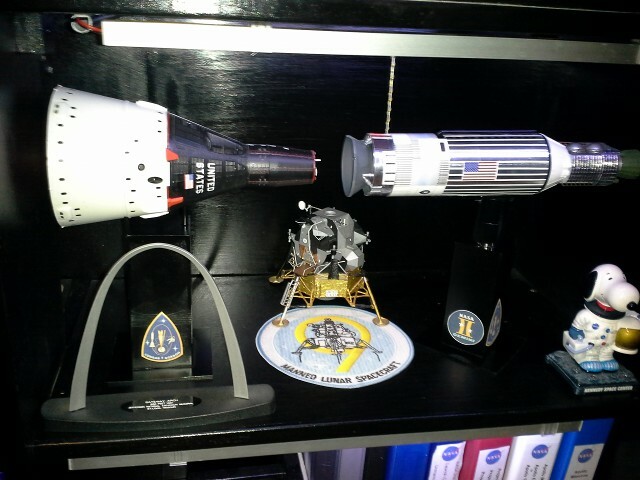 A new display stand was fashioned, based on the same design as the Gemini Spacecraft display stand, so that the two vehicles could be displayed in the near-docking configuration, As the two of them take up more shelf space, it took some rearranging of the Apollo Room display shelf, but the results are worth it. 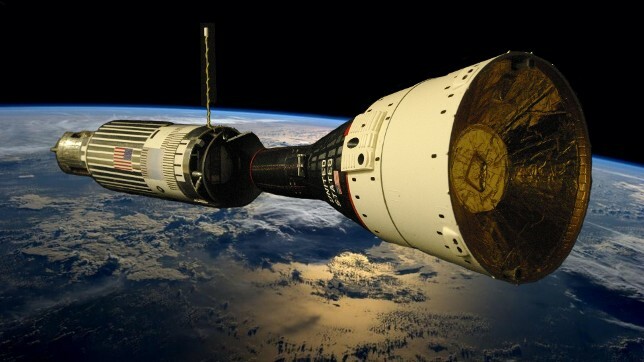 The Agena was an important element in U.S. spaceflight history. 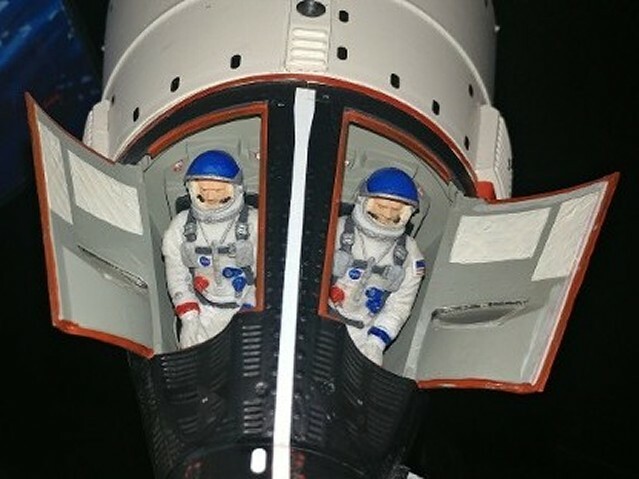 Most recently, I replaced the original Revell-provided flight crew figures with 3D printed Gemini Astronaut figures in 1/24 scale, from Max Grueter through Shapways.com. 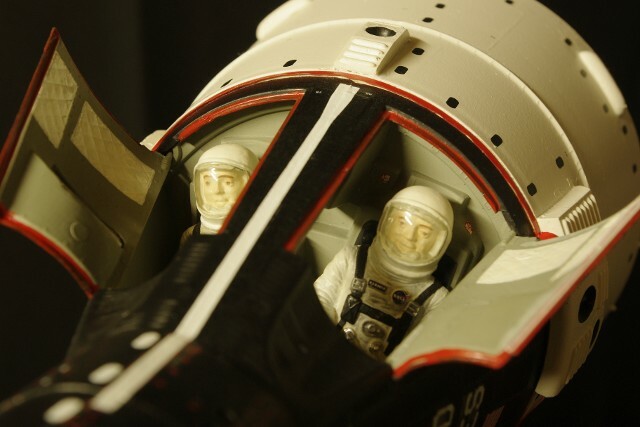 They were significantly more detailed han the Revell versions and more accurate to scale sizing.